Soma Bay is an exclusive holiday resort destination on Egypt's Red Sea coast. Situated on Soma Bay peninsula in a strategic location just outside Hurghada. 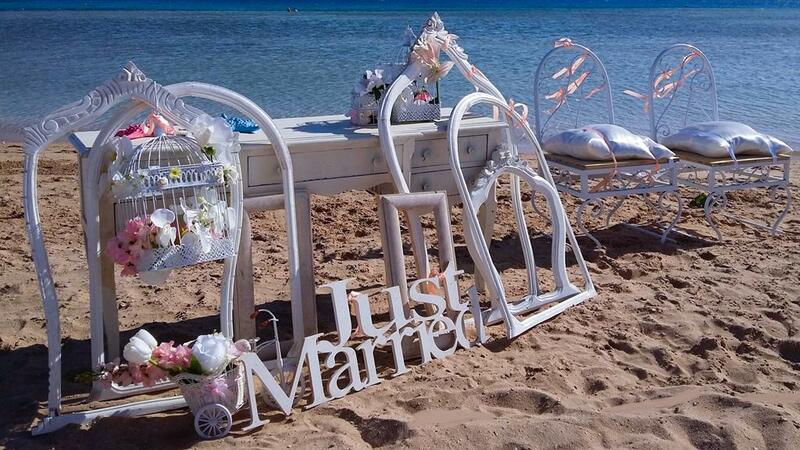 Soma Bay is one of Egypt's most tranquil locations and is a perfect place to host an elegant beach wedding. A hidden jewel not far from some of Egypt's most historic locations, the area offers mystery, romance, and beauty at every turn. The ten million square meter self-contained community of Soma Bay is a peninsula surrounded on all sides by the sea. 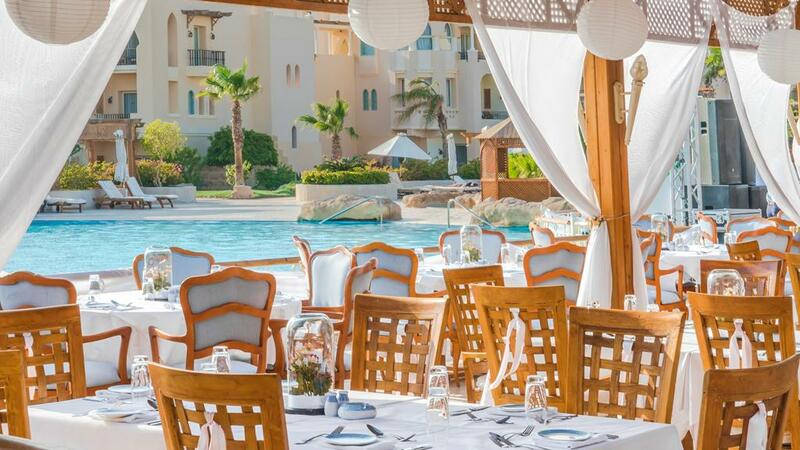 Surrounded by the sparkling azure waters of the Red Sea and blessed with glorious sunshine all year round, very few places offer quite as much beauty as the coastal resort of Soma Bay. White sand lines the shores, and panoramic mountain views surround you, it is a truly picture-perfect location, so it is no surprise that many people choose to host their weddings in Soma Bay. With romance around every corner, Soma Bay is a beautiful setting for honeymooners and those arranging a proposal too. Whether you are planning to surprise a special someone, or wish to celebrate your love by the coast, Soma Bay will make these special moments truly magical. Elevated on the highest point of the Soma Bay Peninsula sits the magnificent Cascades Resort. With its prime location, The Cascades offers unparalleled panoramic views of the sea, desert mountains, and green golf course fairways. The resort is home to the stunning 18-hole, par 72 Cascades Golf Course designed by Gary Player. The Cascades Spa & Thalasso, one of the largest and best equipped Thalasso therapy spas in the world offers 65 treatment rooms stretching across 7,500 m2. Outdoor weddings are held around the swimming pool area. The resort is located between Hurghada and Port Safaga and is a 40 minute drive from Hurgada International Airport. The resort is 2 minutes walk from the beach offering exclusive seafront accommodations overlooking one of Soma Bay’s finest beaches. It features several swimming pools set within lagoons, a lazy river, a fitness center and a spa with hot tub, sauna and massage facilities. Designed in the style of ancient Moorish fortresses with a 7,000 square meters landscape of gardens, pools, lagoons, waterfalls and 400 meters of sandy beach. For an Egyptian wedding that you will remember forever, Say 'I do' on the Red Sea Coast at Kempinski Hotel Soma Bay. As the sun sets on the horizon, and you begin your journey together as Mr. & Mrs. in complete bliss while enjoying the luxurious hospitality that Kempinski hotels are renowned for. While beachfront weddings are a speciality, the grounds of the hotel offer a beautiful backdrop for your special occasion. Inspired by the ornate past of Egypt, palm trees, lazy rivers and flowing lagoons combine to create a setting like no other. The event venues can host weddings of all sizes, both indoors and outdoors under the stars, and family and friends can stay in complete comfort to celebrate such a significant occasion with you. Each wedding at Kempinski Hotel Soma Bay is unique, and the services are always tailored to suit your needs. The Sheraton Soma Bay is a unique five-star resort inspired by Luxor’s Karnak Temple situated directly on 800 meters of beautiful beachfront. Its spacious guest rooms and suites are carefully designed for a refreshing, relaxing, yet elegant décor & amenities. This property is 3 minutes walk from the beach where the most beautiful weddings are held. The hotel also features a large outdoor pool, 18-hole golf course designed by Gary Player, and rooms with balconies and sea views. 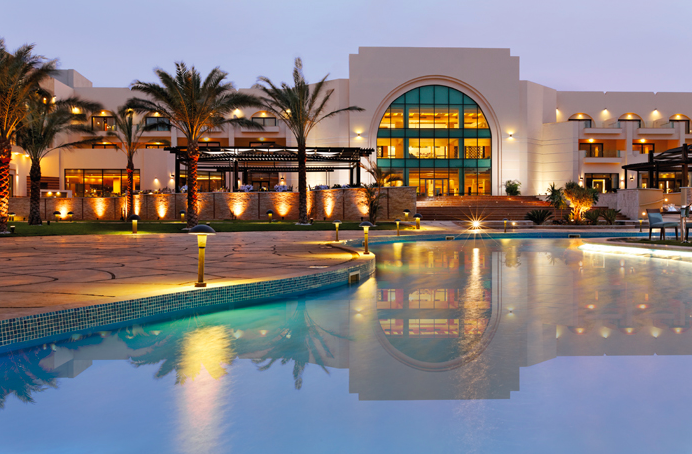 Stretched alongside white sandy beaches in one of the most serene spots on the Red Sea, the new Mövenpick Resort Soma Bay is set within 15 hectares of landscaped haven. The new destination combines genuine beauty & new fashioned luxury which boasts the certitude to satisfy singles, couples, and families' travellers. The resort is the perfect venue for weddings, whether indoors or outdoors, it has an elegantly styled ballroom (475 square meters) and a variety of venue options.